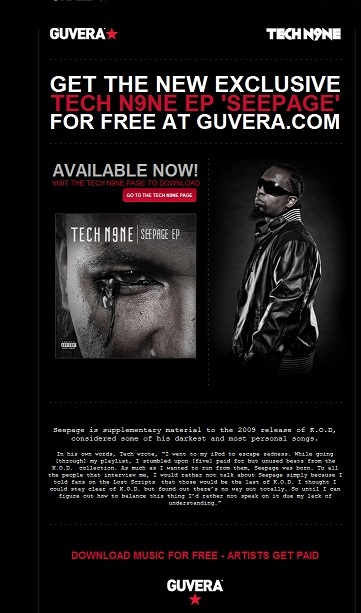 Tech N9ne’s latest release the Seepage EP is now available FOR FREE at Guvera.com. You may remember Guvera.com as the main sponsor of the recent Independent Grind Tour, but in case you don’t, here’s a small recap: you download songs, they don’t cost you any money, the artists still get paid. 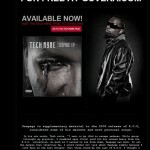 Click here to visit Tech N9ne’s page on Guvera.com.